Trying to nail down a skincare routine is harder than organising a get together with my biggest group of friends. I have been drafting and redrafting this post for, I kid you not, five months. Basically, since around the end of last year I started changing up single elements of my skincare routine one at a time. Certain things just weren't working for me anymore so it was time to introduce some new products. 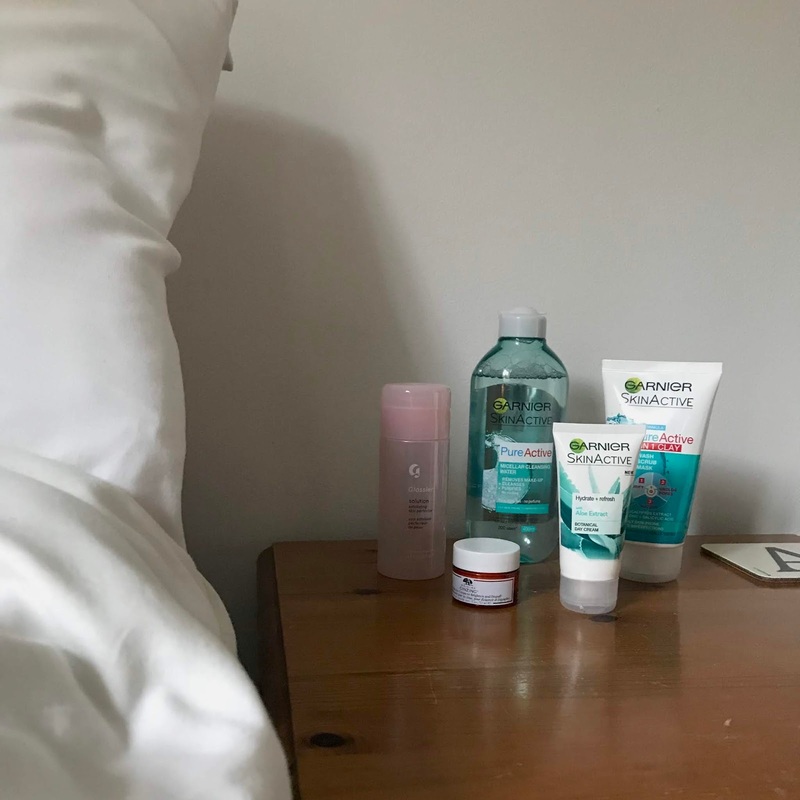 I'm a great advocate for slow progress and I think you should always only change one skincare product at a time, giving it a good month to check how it's working and see if you're happy with it before looking to change any other products. If you change everything at once you've got little hope in knowing, for example, which product is breaking you out or drying out your skin etc etc. So that's what I've been doing and I've finally gotten to a point where everything is working well and my skin is looking real nice. 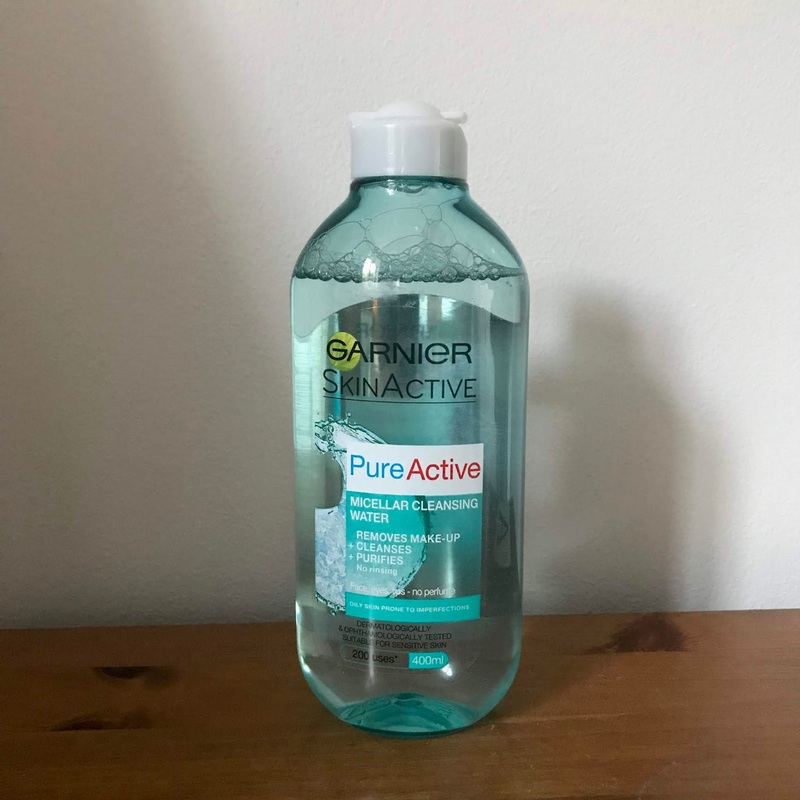 First things first, Garnier Micellar Water is a staple in so many people's skincare routines and I am no different. It is my favourite formula for removing makeup and even just giving my face a quick refresh. There are obviously a few different versions of the micellar water and my personal favourite is the Pure Active formula. It makes my skin feels super clean and soft, and is a product that I feel contributes to decreasing spots and keeping them at bay. I love this stuff. Next up is another Garnier product, again from the Pure Active range. 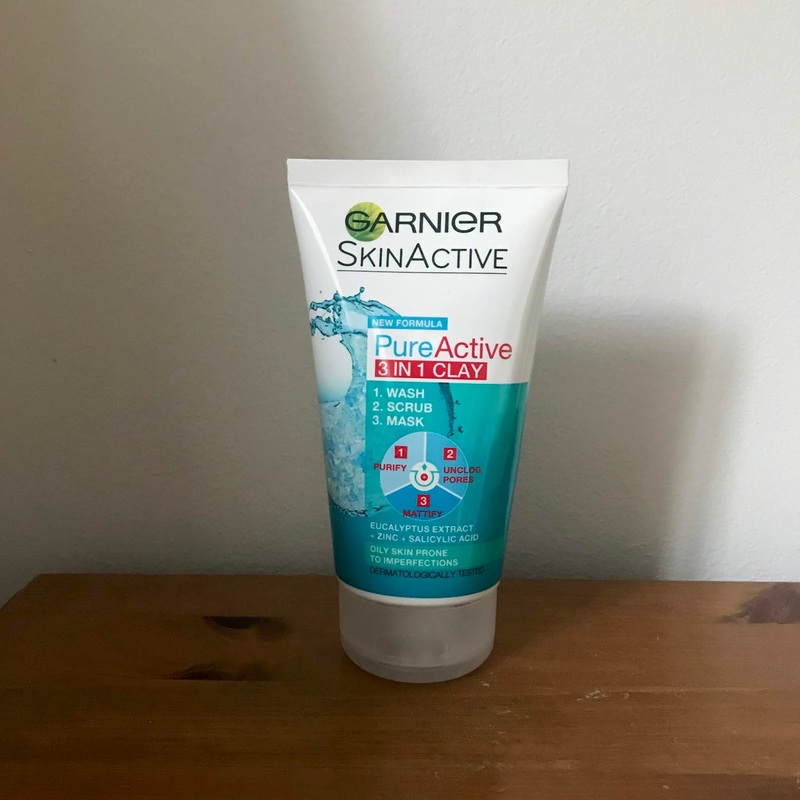 Garnier Pure Active 3 in 1 Clay Face Wash is amazing for me. It purifies, unclogs pores and mattifies the skin - ideal if you're on the oilier side and your skin is prone to imperfections. I use this probably about three times a week as a more intensive facial wash than the micellar water. I'll usually just use it as a face wash - it works well to exfoliate whilst washing your face too, which is a bonus - but one every two weeks I'll put it on as a mask for five minutes. This just gives a slightly deeper clean. One I've spoken about a few times now is the Glossier Solution. It's a game changer. 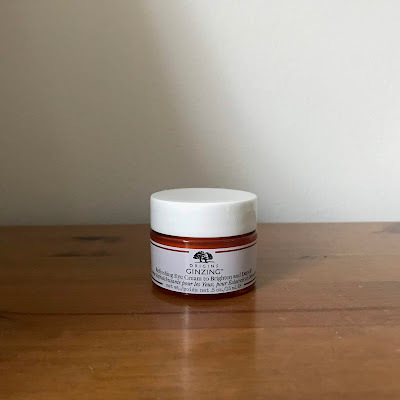 It's essentially an exfoliator with three gentle acids which are intended to help reduce the appearance of pores, spots and redness. And I think it does this really well. It is a little drying, which is the only downside I've experienced, but it's worth needing to work a little harder to moisturise. I've been using this for almost six months now and I'm now at the point where I feel comfortable reducing my usage to every other night as opposed to using it every night, simply because I'm getting very few blemishes now and I'd like to avoid my skin getting any drier unnecessarily. I've finally found an eye cream that seems to actually do something. Hallelujah. Origins Ginzing Refreshing Eye Cream is the one. I feel that I'm not fully awake in the morning until I've used this product. 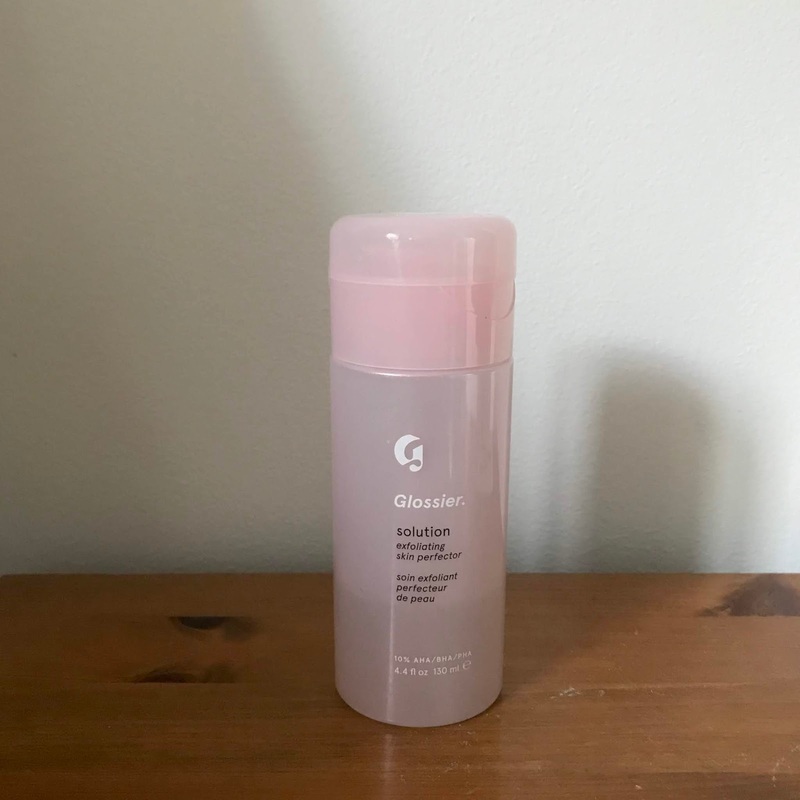 It feels really hydrating and seems to reduce puffiness nicely. And I'm hoping it's working well below the skin as a preventative means to reduce wrinkly eyes as I get older. The most difficult product to get right for me was definitely moisturiser. I've tried many a moisturiser in attempts to find one that really works for my skin, from various brands and various ranges within brands. In the end I settled upon the Garnier Skin Active Moisturiser with Aloe Extract. 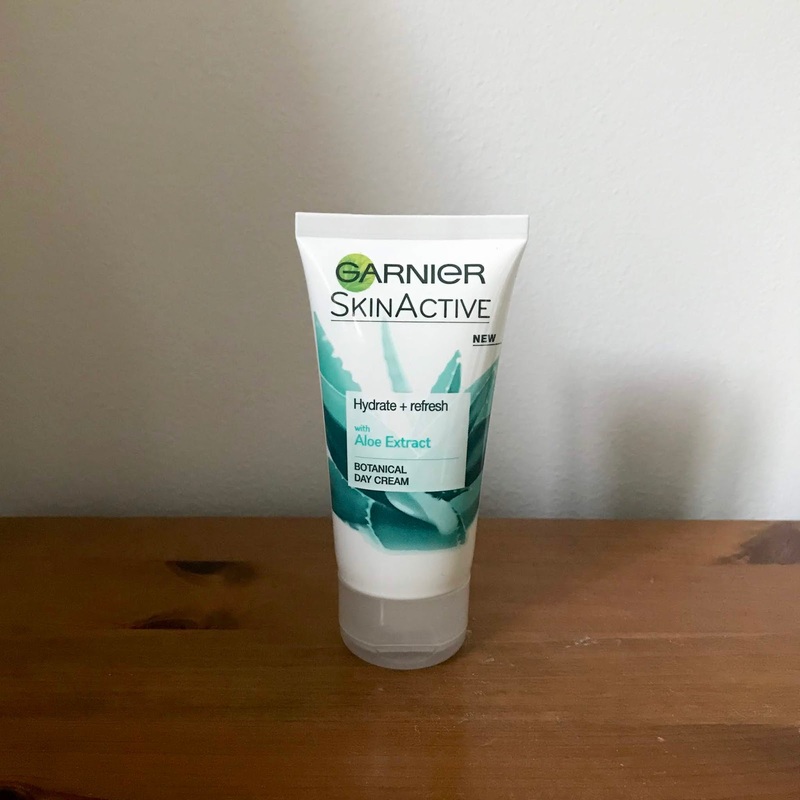 I wanted something light and refreshing that would hydrate my skin without needing an excessive amount of product - which was a problem I was having with other moisturisers: they just didn't hydrate my skin enough. This one is great. I use it morning and evening and my skin has never felt better. It doesn't break me out (another serious moisturiser struggle) and just helps my skin to look it's best. Those are my main staple products, but in addition to these I will also use face masks twice a week. I will vary the mask I use in relation to what my skin seems to need. A few favourites include The Body Shop Chinese Ginseng and Rice Clarifying Polishing Mask - this one is great for a bit of extra exfoliation and also helps to brighten up and revitalise. 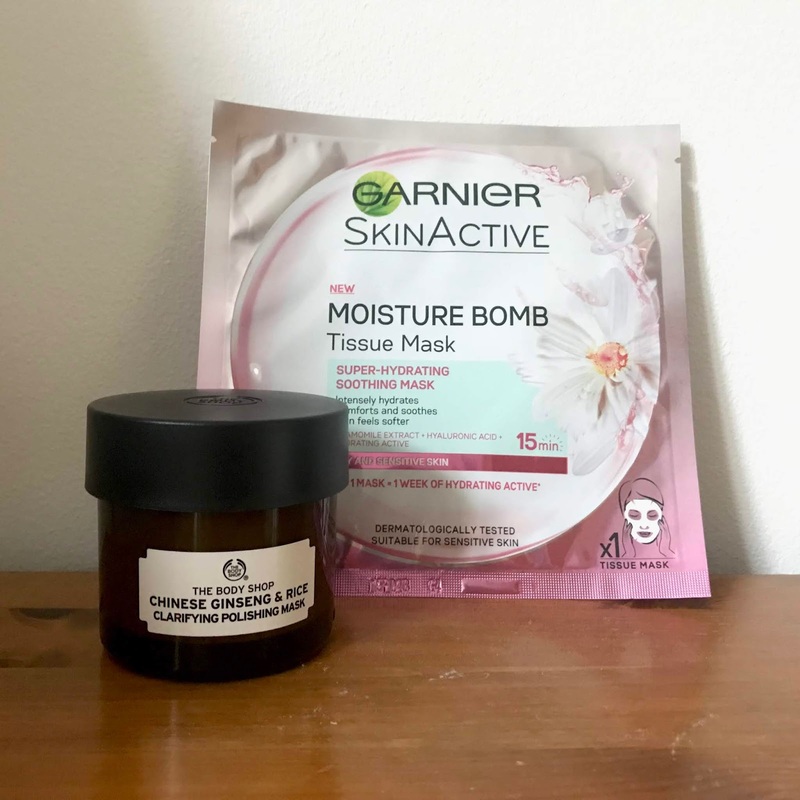 For a mask more focused on hydration, my go to is the Garnier Moisture Bomb sheet masks. There are several different versions of this mask and my favourites include the Chamomile mask, the Lavender mask and the Green Tea mask. All great for hydration but they all also work in slightly different ways in addition to this. For example the Chamomile mask is very soothing and the Lavender mask helps relax the senses. So that's my skincare routine in a nutshell. It's taken a great deal of time to formulate, but it truly works for me. I like that it's there's not a mass of products, and for the most part they're all really affordable, meaning I don't get a little sad every time I need to repurchase something. I think simple, minimalist skincare is definitely most effective for me.